What is a data breach and what do you do when you have one? 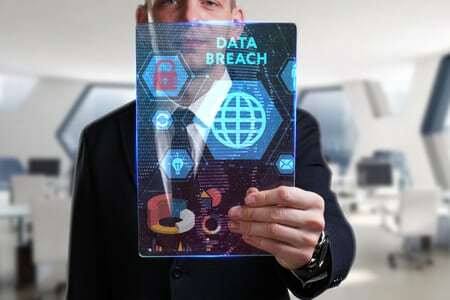 A data breach is any incident where sensitive, confidential or otherwise protected data is accessed or disclosed by unauthorized persons or means. Data breaches often involve personal health information (PHI), personally identifiable information (PII), financial or banking records, trades secrets, intellectual property, or customer data. Data breaches can happen in many different ways: stolen or lost computing devices (smartphones, tablets, laptops, desktops), improper destruction of documents, accidental disclosure of user access credentials, insufficiently complex passwords, network attack, poor firewall configuration, downloaded malware, the list goes on. Taking proper measures to secure your data is the first step to protecting you and your business from a data breach. DriveStrike and the Remote Wipe feature is an essential step in protecting your data and devices from compromise. If you have already experienced a data breach you are required to report the breach to the appropriate authorities and notify anyone affected by the data breach. Below is a list of agencies that process data breaches and provide guidance for dealing with data and security breaches in general. Spearstone, the makers of DriveStrike, offers consulting services including data security assessments, data breach protection services including remote wipe, remote lock, and remote locate. Please call us with any questions so we can help you navigate this complicated environment and help you protect your data from compromise. Do you have a question or need answers on remote wipe, data breach protection, BYOD policies, data encryption, mobile device management, or need a team to help design and deliver a software solution? Our support and engineering staff love to answer questions and improve our product and service. We welcome your suggestions on how we can improve or help you be a happy DriveStrike customer for life.